The late 2013 Target data breach was perhaps one of the largest in history and with more than 70 million credit card numbers put at-risk, the retail giant is still feeling the effects of the attack. Now, months after the breach was first made public, CEO Gregg Steinhafel is stepping down and personally taking the blame for what happened at his stores. In a statement to the Board of Directors, Target CEO Steinhafel explained that at least part of his decision to offer his resignation came as a result of the 2013 data breach. While there were other issues that Target faced in recent years that dealt with the company’s business strategy and expansion into new markets, both the Board and Steinhafel brought up the breach. 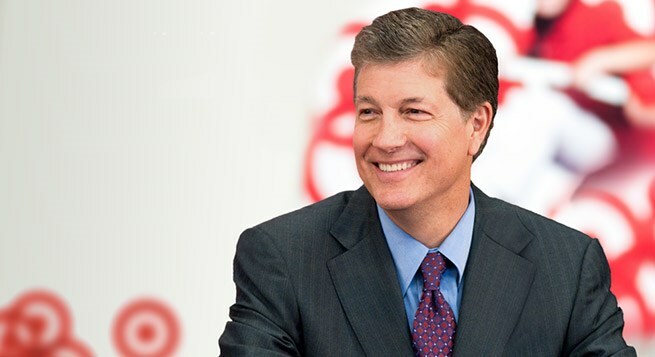 In the Board of Directors statement, Target said that Gregg “held himself personally accountable and pledged that Target would emerge a better company” following the breach. Even though Steinhafel put himself on the front line when responding to the breach and dealing with the effects of it, he was far from the reason why it occurred. Unfortunately, in just the past 12 months, numerous retail stores in the United States have become victims of data breaches. Even the California DMV had its system compromised, leaving personal user data exposed. As we can see from all of the attacks, industry-wide security standards are what need to be changed. Even though Steinhafel is resigning and attributing part of that decision to the breach, he was not the one that caused it and it doesn’t appear as though executive decisions put the retail stores in a more vulnerable position. With Steinhafel gone as of Monday, John Mulligan, Target’s CFO will become the interim president and CEO. At the same time, some changes are occurring with management on the Board of Directors. Summary: Target’s CEO Gregg Steinhafel is stepping down and attributing that decision to the 2013 data breach which left 70 million customers vulnerable to credit card fraud. Numerous retail chains like Target have fallen victim to breaches in the past 12 months. Steinhafel personally took the blame for the attack.